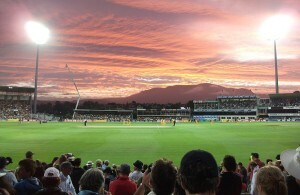 The leg-spinners have been performing extremely well in the modern-day cricket, specifically T20 cricket. Although there is a risk of conceding runs at a hammering rate, the leggies have proven to be prime wicket-takers in the IPL since the last few years. Players like Anil Kumble, Shane Warne, Amit Mishra had initiated this trend in the past and nowadays, almost every team prefers to have a leg-spinner in their side. Tamil Nadu-born leggie Varun Chakravarthy made the headlines when Kings XI signed him for a handsome amount in the auction. His stupendous performances in the TNPL, where Varun leaked runs at a miserly rate of under 5, played a huge role in earning him this contract. He will play his first IPL season this year. Yuzvendra Chahal, the pocket dynamo is the country’s top leg-spinner at the moment. He has been an integral part of the Indian limited overs team and will be the key to India’s success at the upcoming World Cup. A former chess player, Chahal deceives the batsmen with his variations and flight. Afghan teen sensation Mujeeb Ur Rahman impressed everyone with his mystery spin in the 2018 IPL. He played the supporting spinner’s role for Kings XI Punjab last year but he finished with better numbers than the team’s lead spinner, Ravichandran Ashwin. The youngster has won several matches for Afghanistan at the international level and he would be keen to continue the same performance in IPL 2019. Uttar Pradesh-born chinaman spinner, Kuldeep Yadav is the best left-arm spinner of the nation currently. His wrist-spin has played a crucial role in the success of the Indian team and his IPL franchise, Kolkata Knight Riders. Yadav will be Kolkata Knight Riders’ player to watch out for, as he is coming after a successful year with India. 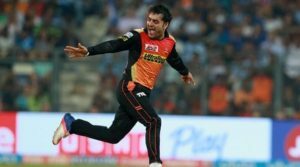 With 21 wickets in 17 matches last year, Rashid Khan’s performances with the ball had played an immense role in Sunrisers Hyderabad’s journey to the final. Though the Orange Army could not win the final, Rashid Khan had single handedly won matches for his side in the league. He has multiple variations which is why Rashid is a serious contender for the purple cap this year.